The New Moon begins another Hebrew moon at even. The New Moon observation class at the bottom of this post focuses on the End Times. This Info-Graphic brings attention to the True Jews–historical and present day, as opposed to those pretending to be Israelites. 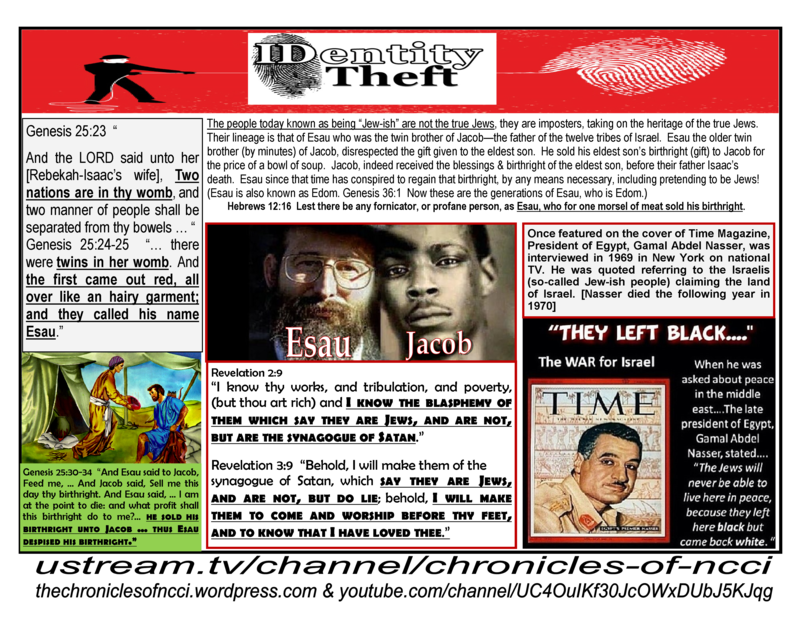 Tags: bible, blacks, Edomites, elder Yachov ben israel, Gentiles, Halleluyah, Hebrew Israelite, NCCI, new moon, ten commandments, Yahshua, Yahweh, YHWH | Permalink.